When you want to update the look of your bathroom, a good place to start is by changing your bathroom wall facade. Adding a new design can transform the look of your bath, and you can turn a plain bathroom into something more stylish and fun. However, there are differences between wall covers for your bathroom and those that you may use in your living room or bedroom. Bathroom wall covers must be able to withstand regular moisture and heat. Otherwise, you can end up creating serious damage that will not only damage the look of your bathroom, but will also require extensive repair. Ceramic Tile – This is the most common bathroom wall cover used by people because it is cost-effective, yet functional and long lasting. When you installed your ceramic tile correctly, its water resistant surface can withstand moisture. It can also be a nice way to incorporate patterns on your wall. Glass Tile – Although more expensive than other types of wall covers, glass tile offers an added touch of sophistication to your bathroom. Plus, you can also use glass tiles on other parts of the bathroom, such as the floor. Paint – If you prefer something simple and hassle-free, try painting your bathroom wall. It is ideal for walls that are larger because covering large spaces with tile can become expensive very quickly. However, when choosing your bathroom paint, be sure to choose one with a glossy finish to add a layer of protection against heat and moisture. 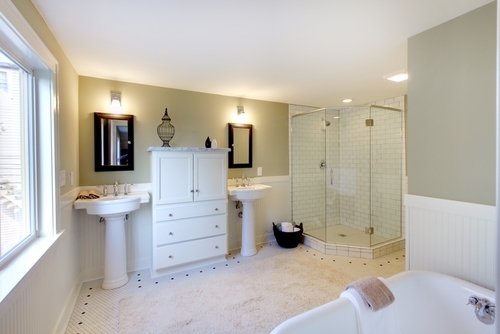 Beadboard – Traditional-looking bathrooms may benefit from beadboard. It is usually only used to cover the bottom part of a wall, and it can be painted for an additional effect. Just remember to use glossy or satin paints to if you decide to go that route. Mirrors – Cover your wall with mirrors to help create an impression of a bigger space. Mirrors can also make your bathroom look more unique and elegant. When you choose your bathroom wall cover, always consider first what your bathroom will look like before you buy your materials. That way, you will avoid wasting money on experimental materials. Right now, softball players in Edmond use the Bickham Softball Complex in order to play their favorite sport. But, due to several issues, including a lack of space to expand the facility, players are looking toward newer options. A new and better facility is underway, and a four-field softball complex is currently under construction along State Highway 66 and the northeast corner of Post Road. Construction began in September along with park improvements in the new community park. The new softball complex will be named Edmond 66 Park and will feature four fields. The complex was actually originally planned to have eight fields, and city officials are still hoping to expand the location to its original plan if the budget allows. 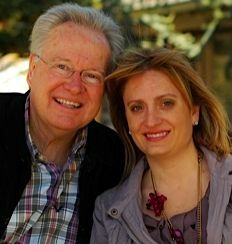 Existing funds for the complex have been derived from the special 3/4-cent sales tax approved by Edmond voters in 2000. The project is expected to completed by late summer or early fall this year. 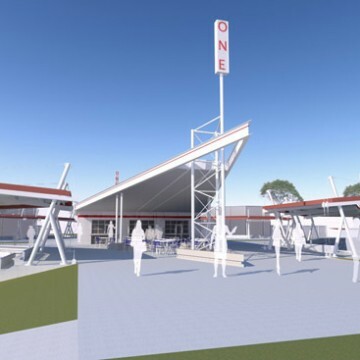 A Route 66 theme will be incorporated in the concessions and restroom areas, while a unique design is set for the roof canopy with an image of a ballplayer ready to swing on the support columns. Door handles are more than just hardware to open and close your doors. This simple and small element also contributes to the overall look of your home’s interior and exterior. If you choose your door handle carefully, you can enhance the look of your interior while also adding curb appeal to your exterior. There are many choices when it comes to door handles. Fortunately, door handles these days come in various colors and designs, so you are guaranteed to find something that fits what you’re looking for. You may want to choose bold colors to allow them to pop against your door or dark ones for dramatic appeal. If you want to incorporate something traditional or historical, an antique handle will likely be the best option. Consider functionality. The primary concern of a door handle is that it functions well. Do you need knockers for your door? How about hinges and door plates? There are different types of door handles, such as door knobs and door levers. You need to choose which function will best suit your door. Choose the perfect style that fits your home theme. Having a door handle with a contemporary look may not be the best choice in a classic-themed home. However, if you have a sleek and minimalist house theme, it may be the perfect thing. 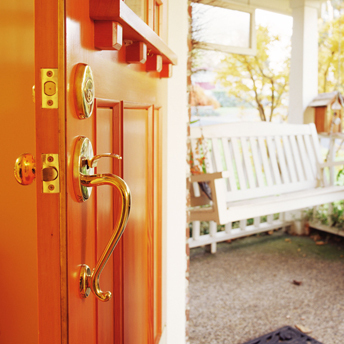 Consider the overriding style of your home when choosing your door handle. Check the material of your door handle. Materials for your door handle must be a top priority, especially if you live near the ocean. Door handles need to be salt-resistant and made of durable material, so they will not easily get rusty. Keep your budget in mind. You may be surprised by how expensive some of the fancier door handles are. Having a budget in mind will help you avoid spending tons of money on a simple part of your home. Set a reasonable budget and stick to it. Take a look at its lock feature. Some door handles may have easy lock features while others will require a key to lock the door. Consider the location where you will install your door handle. For children’s bedrooms, a door that will not easily lock your child inside is ideal. However, a more reliable lock feature is important for the exterior doors of your house. Though there are many benefits of working from home, it can sometimes create monotony in your everyday life. When you stay at home the entire day almost every day, you can begin to feel a sense of dullness in your work and a lack of excitement. Adding more personality to your home office, however, can help create more inspiration when you work. Add a personal touch. Don’t allow your desk to look like a typical working table with piles of paper or stacks of work materials. Add something personal like a picture of your family or a photo of a recent vacation. 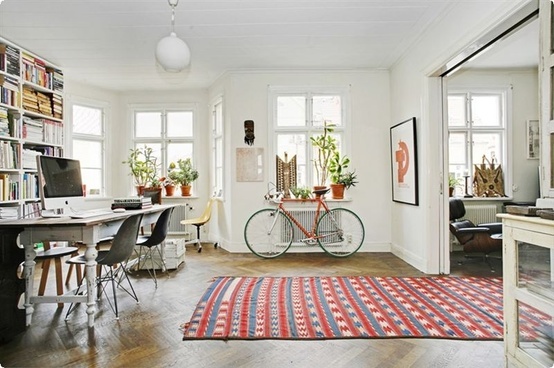 Incorporate things that may inspire you to work and that make your space feel like “you”. Decorate the bare walls. Staring at a plain blank wall all day can get boring. Try adding some color and design to your walls with a lovely painting or a big family portrait. If you have good painting skills, paint or stencil interesting designs on the wall. Approach design changes gradually. You don’t want to overdo your office renovation and end up having to work in a crowded, messy environment during the process. Implement your ideas in moderation and stick to what is convenient, functional, and attractive. Sometimes, less is better when it comes to designing. Add ornaments to your bookshelves. Redesign your bookshelves by adding trinkets or souvenirs from your travels. Display them next to your books and picture frames to add more color and flair to your shelves. Incorporate unique office furniture. Scout online or vintage shops for quirky finds. Remember to stay functional. Keep in mind that what you add to your home office will take up space. Add things that are useful, so your office is as functional as possible. Let the sunshine in. Bring in natural light, so the ambiance feels cheery, not gloomy. If you opt for window treatments, choose something light that will brighten the mood. Decorate your office based on what you like, not what you think you should like. Remember, it is your place and you will be staying there for at least eight hours each day. So, make it comfortable for yourself. Many communities these days are leaning toward charter schools, leaving old school buildings empty and outdated. With the reduction in the number of enrollees and more demand for charter schools, a surplus of old school buildings has begun to grow. In Oklahoma City alone, there are nine. Though these old buildings are empty and sometimes outdated, communities still want to preserve them. Many of the old buildings are considered assets in their communities because potential buyers or future developers could use the structures for new purposes. The Oklahoma City School Board has stated that the proper disclosure of any buyer’s plans must be provided before a sales contract would be approved. The School Board decided to open up one of its surplus schools for offers if there were buyers who were interested in the property. 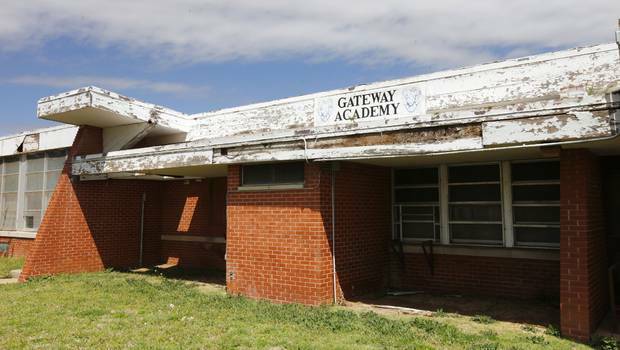 The Gateway Academy, located at 721 W Britton Road, has been out of operation since the 90’s. It was leased for a few years to a youth development program called Eagle Ridge Institute, but has remained empty other than that. Since the property has been opened for sale, it has already received four offers this year. According to the OKC School Board, JAB Consulting placed a bid for the school to be turned into a center for tutoring, professional development, and testing. Other bids were placed with the intention of turning it into a non-profit community center, a vocational training center, and a retail site. 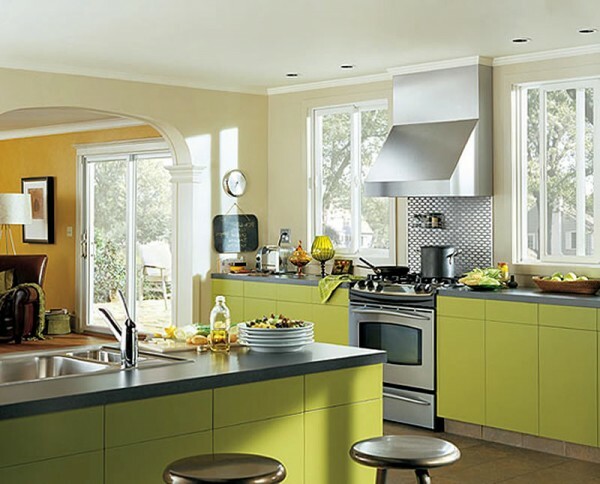 When it comes to kitchen appliances, there are a ton of options to choose from. Even for something as simple as a blender, you will find numerous variations of different brands and features. If you are planning to change or replace your kitchen appliances, it is best to choose something functional, reliable, and long-lasting. So, what should you look for when choosing your kitchen appliances? Know what you need. There are many appliances that you can incorporate into your kitchen, but having all of them can mean a lot of cost and a lot of space. To help minimize both, create a priority list of your kitchen appliances and focus on what you need before you look at additional appliances you may only want. Consider the look of your kitchen appliance. Does it have a nice design that will make your kitchen look good? Does it go well with your kitchen theme? Appliances come in a variety of designs and colors, so you don’t need to settle for anything other than what will look great in your kitchen. Check energy efficiency. Kitchen appliances can consume a lot of energy, and your bill can easily soar. The good thing about modern appliances these days is that they have a lot of energy-efficient features. Choose appliances that guarantee energy-efficiency, which will help you save as much energy as possible without compromising your use. Bank on a good name. Sometimes, the brand of your kitchen appliance speaks volumes to how well it will serve you. There are many brands out there, so do your homework and investigate which ones guarantee the most reliable, high-quality, and functional service. Though good brands do come with a higher price, investing in them is worth it because you will avoid the costs of constant repairs and replacements. Think about its added features. Appliances with added features are priced higher than others. When you come across these types of appliances, you may want to stop and consider if you really need those particular features enough to make the higher cost worth it. If you don’t, stick with the regular options. Check the warranty. Does your kitchen appliance offer a five-year warranty? What is the scope of the warranty when it comes to things like replacement, returns, and repairs? Kitchen appliances can be prone to easy wear and tear, so it is good to know that you can have them repaired for free after you initially purchase them. Bathrooms in most houses have limited space. Despite the fact that you may not have enough room to create a luxurious bathroom, that doesn’t mean you can’t still enjoy a comfortable one. Choose good flooring. Having good floors can help keep your bathroom clean, which will in turn make it look more elegant. Choose something that can endure a lot of moisture and use. Also, choose the right color that blends well with your overall interior. Add soothing accessories. Long baths can be more relaxing if you have candles and potpourri inside your bathroom. While you soak in your bathtub, turn off the lights, light a few candles, and smell the sweet aroma. Place a small rug in front of the toilet, so your feet don’t have to touch the cold floor. Add some entertainment. Who says you can’t watch TV while you’re inside the bathroom? Install a small TV where you can watch your favorite shows while relaxing in a bubble bath. You may even want to install speakers, so you can listen to your favorite music. Have a cool magazine rack. Add more style to the bathroom with a unique magazine rack to house your favorite publications instead of stacking them everywhere. Install good lighting. Add more style to your bathroom lights with unique fixtures or even recessed lighting. Make sure that your bathroom is well-lit so it is easier for people to get ready in the morning. Decorate. Give your bathroom more style with a few decorative pieces on top of your counter. This can be a vase, a beautiful frame, or even a healthy plant that will thrive in the moist environment. Create proper ventilation. You don’t want to feel suffocated by steam after you take a shower due to limited ventilation. Add proper ventilation, like an exhaust fan or a window, to bring in good air and let out the bad. This is important not only for comfort, but also for the structural maintenance of your walls and ceilings. Include smart storage. 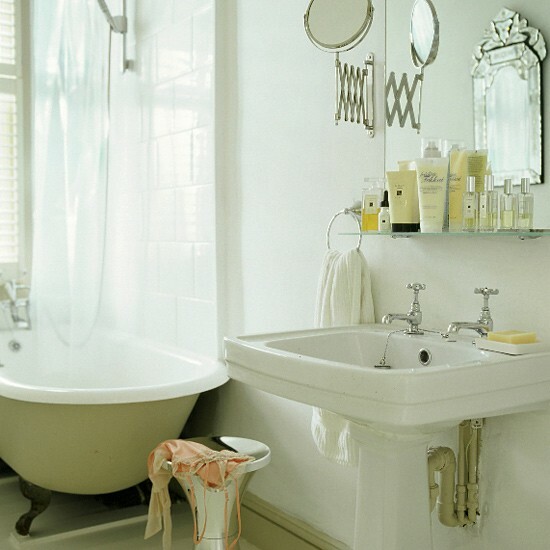 A cluttered bathroom can add to your stress. Keep those containers and other bathroom necessities stored away in cabinets and cleared from the counter.